UFO SIGHTINGS DAILY: Red UFO Over Montenegro May Be From Rocca Pia W56, Feb 12, 2016, Photos, UFO Sighting News. 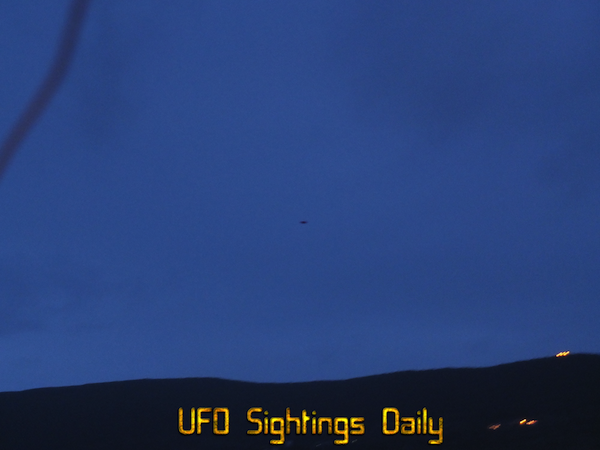 Red UFO Over Montenegro May Be From Rocca Pia W56, Feb 12, 2016, Photos, UFO Sighting News. 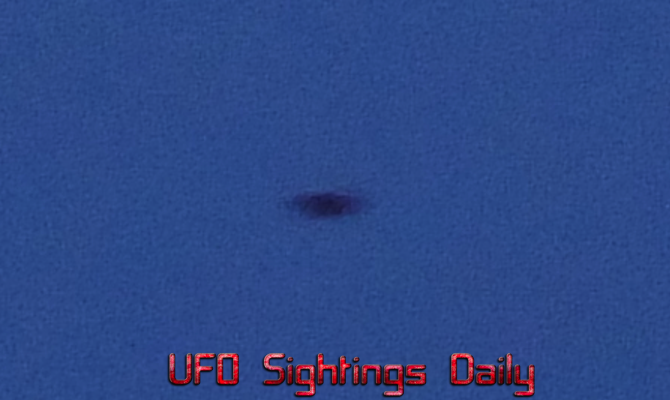 Original photo below, above photos added light only. 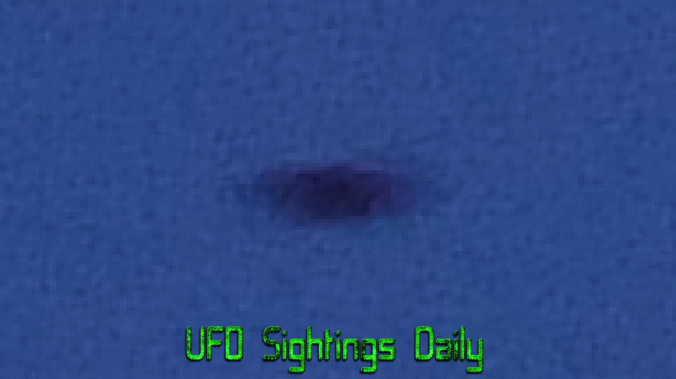 This UFO really stands out when you add light to it. That is a sign that its real. 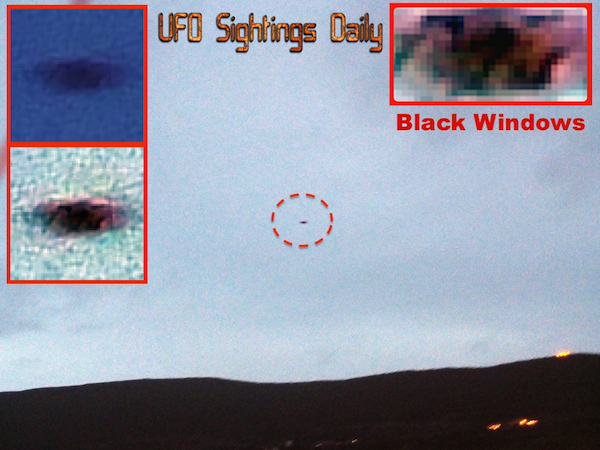 Its one of the few methods to prove a photo is real or not. A photshoped photo will not change much. This did change normally. 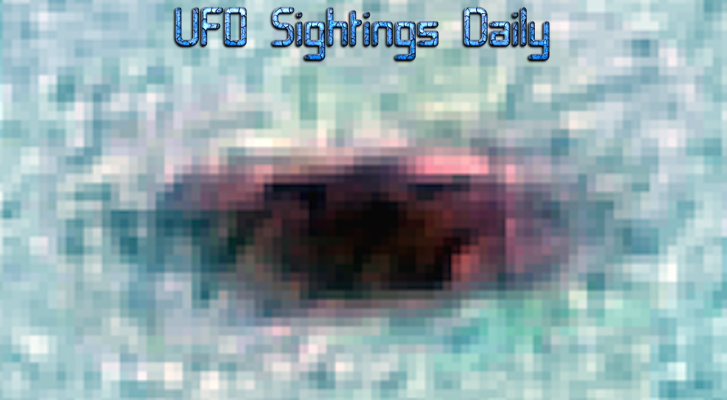 This UFO is reddish as the eyewitness describes. 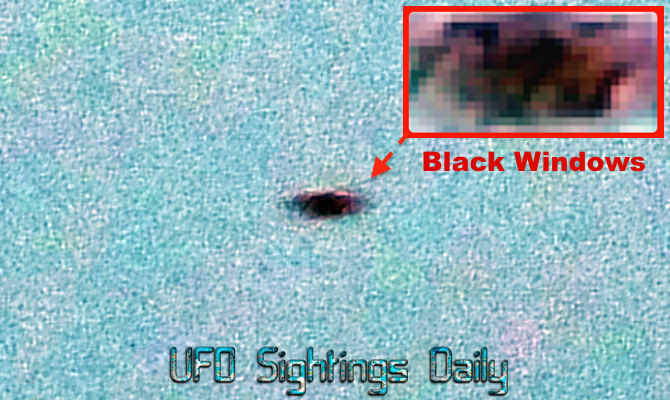 There are also black windows in the craft. Its classic disk shape is magnificent. 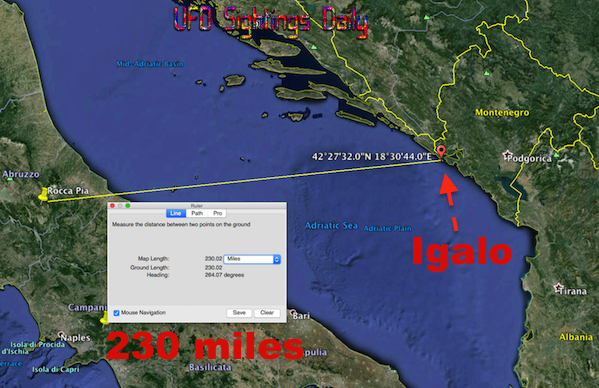 The city of Igalo is along the Adriatic Sea with a small population of only 3754. Its an isolated place, one of the few that a UFO can buzz around without much to worry about. Also another interesting note, Igalo is only 230 miles from Rocca Pia, Italy home of the Friendship Case that took place for decades. I wonder what they are up to now? I was at home watching TV and as become more darker outside just went out on balcony to check the weather as almost all day was raining with low dark clouds.When I first step on balcony I just looked toward the sky at Southern direction as bad weather came from that side. 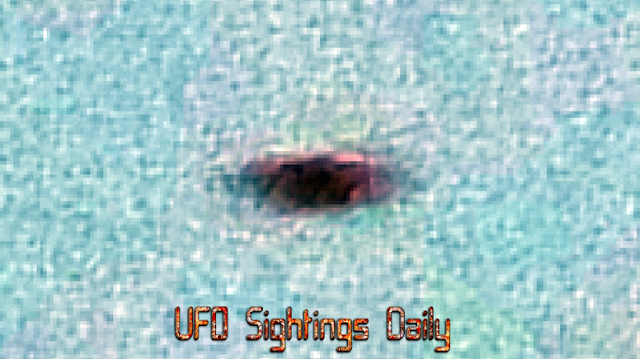 My attention was driven to the burning red-orange light just under the base of one tick black cloud.It was circle shape and let say large like flying balloon.It was almost stationary at altitude approximately 800 meter. As I looked at that it start easily descent and then all that bright burning light disappeared and object start moving so slowly to SW direction totally dark.When it was above the hill opposite to my house it stopped and start descending first so slowly then more faster until it disappear behind the hill.All that appearances last five minutes. During that time there was not any sound registered, and no one signal lights (red,green,white)haven't been observed like on normal aircraft. Original below, added light to above photo. Original below, altered added light above.